Here is where you will find the latest happenings! This is the source for news, events and general information about what the Level Green Women's Club is doing. Check back often! Be sure to also visit and like our Facebook page! Each year the Community Women&apos;s Club of Level Green (CWCLG) awards a $500 scholarship for the purpose of assisting a worthy student in obtaining a post-secondary school degree. Eligibility of candidates shall be restricted to a senior of Penn-Trafford High School who resides in Level Green, or who is a child of a CWCLG member. Applicants must qualify for admission to a college, university, or other post-secondary school requiring no less than two years of work for graduation. This scholarship will be awarded based on the qualities of leadership and community service. If interested, please CLICK HERE to download the application. Please return the application to the Penn-Trafford High School Guidance Office no later than 7:30 a.m. on March 15. 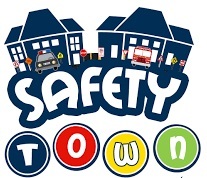 We pleased to announce Safety Town 2019. This year's program will be held June 17-21 at Level Green Presbyterian Church. If you have any questions, please contact Meghan at 412.646.1088 (H) or 770.328.8865 (C).